Cook Construction | Real Estate, a construction and real estate development firm, is excited to announce the appointment of Wayne Norris as the new Chief Financial Officer effective March 6, 2017. Mr. Norris joins Cook from Norris Capital Group, LLC where he served as President and CEO, since 2014, providing debt and equity financing for residential and commercial developers. Prior to working for Norris Capital Group, he was VP and CFO of America’s Home Place and served as CFO at Breedlove Development. 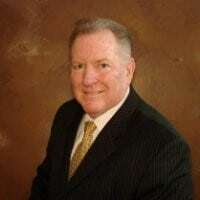 His prior experience also includes working as CFO for nationally recognized companies such as WCI, Florida Design Communities, Century Builders and Rutenberg Housing Corporation in the homebuilding and development sector. Along with 35 years of experience in the home building and construction industry, Mr. Norris brings with him the knowledge and insight of how to produce quality, durable construction projects to our area at one of the best values in the market. “I look forward to being able to be a part of a company that is positioned for significant growth and achievement in the next few years, and being an active part of helping make Cook a company that this area can be proud to have in its community”, stated Mr. Norris. Cook Construction | Real Estate uniquely position construction and real estate development group that strives to develop better communities and in turn a better quality of life. The Company’s brand portfolio consists of Cook Residential, Cook General Contracting, Cook Management, Cook Real Estate Services, Cook Academy of Real Estate, Cook Grading, and the Cook Cares Foundation.